The club are running a bus to this game. It’s XMAS Jumper day. There will be a prize for the best dressed (in the opinion of Shirley) which will be awarded before the game. As there is no alcohol on the bus it will be a non alcoholic prize. So not quite the XMAS cheer that some will have hoped for. 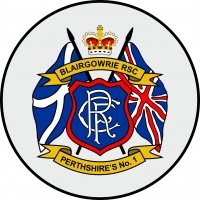 The bus will be leaving Blairgowrie at 1030 picking up at Coupar Angus, Bridgend, Perth Library and Broxden. We will be stopping in Springburn for a pre Christmas sing song and refreshments but will be leaving there in plenty of time to get to the game. Rory is going to be on manoeuvres in Austria next week so we will be taking names for the bus on the way to the game tonight. If you are not going to be at the game tonight you can text me on 07957 836 260 to book your seat. Please be sure to include your name on the text.